“We’ve all heard of the Golden Rule, “Treat others as you wish to be treated.” Today it applies more than ever before. With cyber communication and “news” from a million sources, we learn more each day about how many people are in need of care, attention, homes, safety, health and financial assistance, and I could run the list like tickertape. We also hear about the “do-gooders” who seem like guardian angels. They help people they don’t know, smile at people who thought they were invisible, pay for a child’s tuition overseas that will change that child’s future prospects, work in food pantries, donate items they no longer need to those who truly need them. There still is good in this world. I have been following both of the national political conventions. This is a curious year for some, a frustrating one for others, and for some…a year that begs them not to even vote. Please do not NOT vote. Not voting is the same as voting for the worst case scenario. 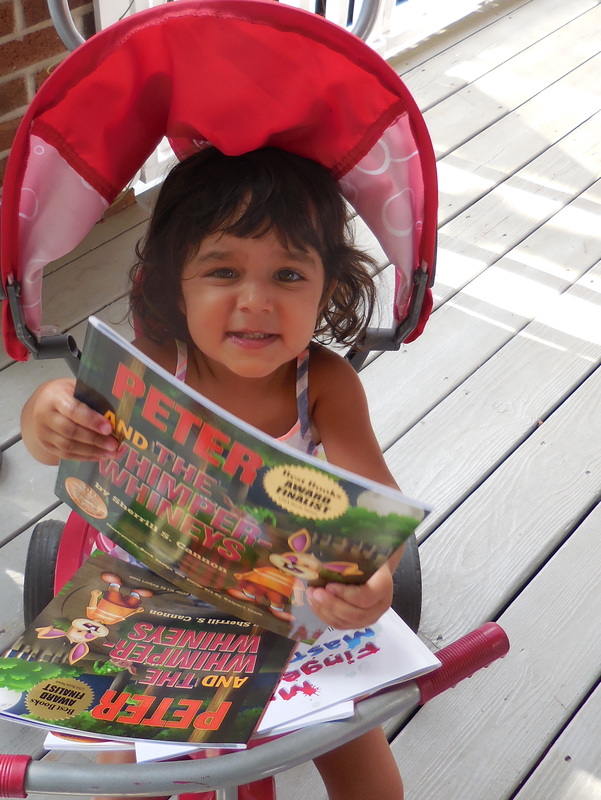 I would like to share a children’s picture book that I recently read and reviewed by Sherrill S Cannon. It easily received 5 Stars (out of 5 Stars) for its cute rhyming story and adorable illustrations, but the message addressed all of the miseries we see. The story is about two children who are looking for the golden rule. They don’t know what it is. They think it may be a measuring ruler at first, then the fleeting thought of a political leader passes through their minds. Finally, they remember the Golden Rule which exists globally in every religion, creed, and philosophy that encompasses what is fair and good. The lesson the short message presents to young children is timeless. Do what you can to help those in need. Do what you can to help problem solve. Do what you can to make this world a better place. The key is DO. It is easy to get lazy and comfortable and let others do the work of maintaining balance where possible, in any sense of the word. But it is our responsibility to DO what we can without expecting compensation to help those in need. Right now our country is in need of humanity again. This Presidential campaign is not going to be pretty. Candidates and their supporters seem to try to demean the other party instead of looking ahead to solve the problems of our country and our relationship with the world. What we can do is continue to remember that timeless Golden Rule and continue to work for what is best. Let’s think like children and continue to have hope. They believe and forgive so easily. They know things will work out in the end. If we follow their lead, we really can make healthy progress. This entry was posted in Children's Picturebook, Golden Rule, Manners, Review, Reviews, sherrill s. Cannon, Uncategorized on July 28, 2016 by Sherrill S. Cannon. Thank you to Ann Morris in her Blog for the lovely review of The Golden Rule. 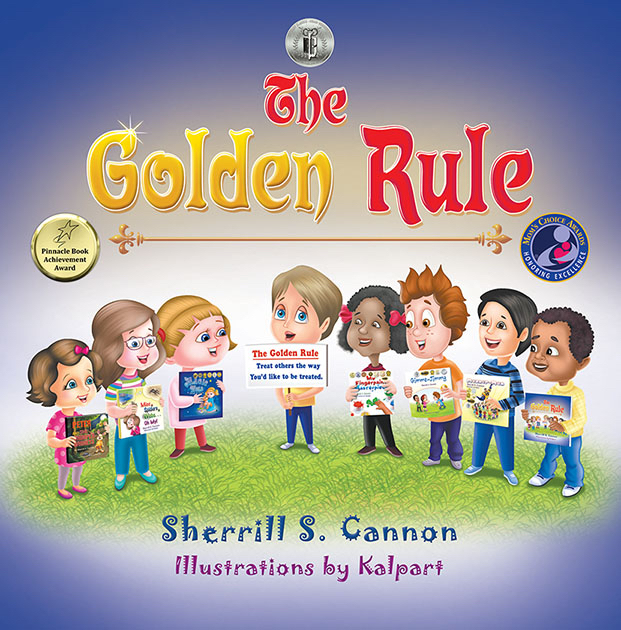 Five Stars to Sherrill S Cannon for The Golden Rule! This entry was posted in Award-Winning, Behavior, Bullying, Children's Picturebook, Consideration for Others, Golden Rule, Manners, Picture Book, Review, Reviews, sherrill s. Cannon, Uncategorized on July 27, 2016 by Sherrill S. Cannon. Here’s the link for The Golden Rule on Storytime Pup! This entry was posted in Award-Winning, Book Reading, Bullying, Children's Picturebook, Golden Rule, Kid Fans, Manners, sherrill s. Cannon, Uncategorized on July 25, 2016 by Sherrill S. Cannon. I just got the following great news! Please share!! Coming tomorrow – Monday, 7/25/16! Make sure you stop by the Storytime Pup Channel to check out this award winning book. This entry was posted in Award-Winning, Book Reading, Children's Picturebook, Consideration for Others, Golden Rule, Kid Fans, Picture Book, sherrill s. Cannon, Uncategorized on July 24, 2016 by Sherrill S. Cannon. 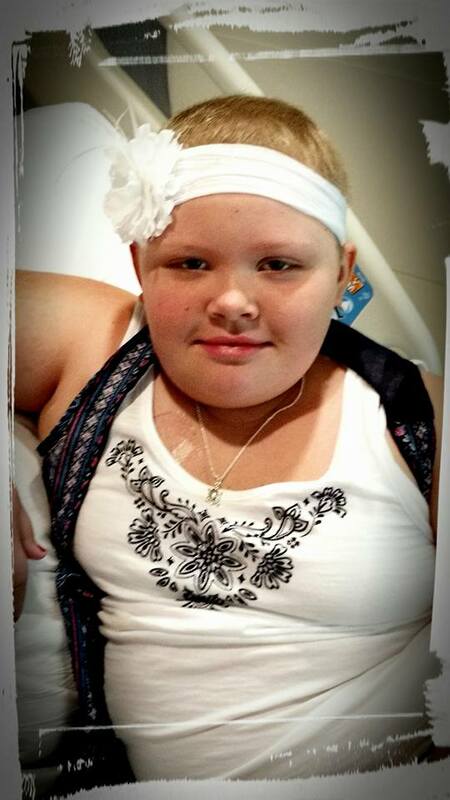 This entry was posted in GoFundMe, sherrill s. Cannon, Uncategorized on July 15, 2016 by Sherrill S. Cannon. I have the BEST illustrator! Kalpart is awesome!! This entry was posted in Award-Winning, Behavior, Bullying, Children's Picturebook, Consideration for Others, eBook, Golden Rule, John 3:16, Manners, Picture Book, SBPRA, sherrill s. Cannon, Uncategorized on July 6, 2016 by Sherrill S. Cannon.